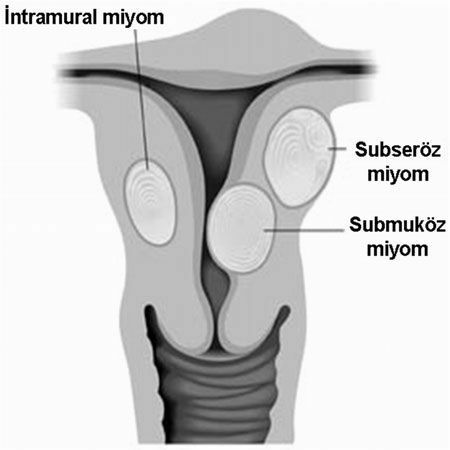 They grow towards the inner surface (endometrium) of the uterus. They are the least common type of fibroids but generally cause disturbing symptoms. The most common symptom in submucosal fibroids is increased bleeding during mensturation and anemia. They grow towards the outer surface of the uterus. Typically, they do not cause bleeding problems. Instead, they may squeeze the surrounding organs and cause abdominal pain, bloating, urinary frequency and constipation. They are the most common type of fibroids and located within the muscular layer of the uterus. Since they are close to both inner and outer surfaces of the uterus, they may cause the symptoms of both submucosal and subserosal fibroids when they reach a certain size. Most fibroids are noticed by coincidence during routine pelvic ultrasound examinations performed by gynecologists or radiologists. 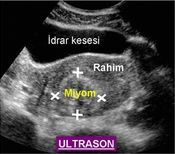 Ultrasound however, frequently underestimates the number of fibroids and may not show some other coexisting pathologies. 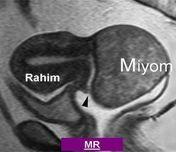 Magnetic resonance imaging (MRI) is currently the gold standart technique in diagnosing uterine fibroids. It may show other fibroids that are not seen with ultrasound and also demonstrate whether the fibroids are alive or dead. 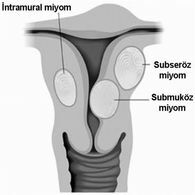 For this reason, it is very important that all fibroid patients be examined with MRI and the decision on the most suitable treatment option should always be made based on the MRI findings.